10″ screen. Also plays audio CDs. Item includes: DVD Player, AC Adapter, AV Connection Cables. 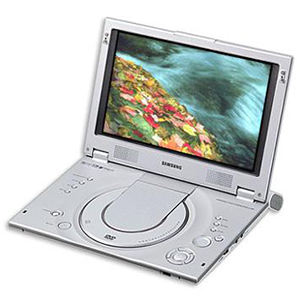 There are Portable DVD Players available for checkout.